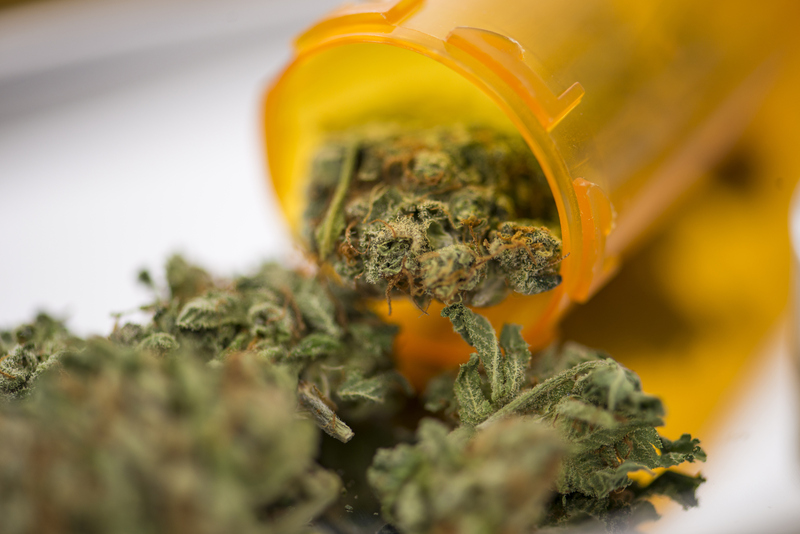 In a news release today, the FDA announced its approval of a marijuana-derived drug called Epidiolex for the treatment of seizures in a subset of patients suffering from severe epilepsy. Epidiolex contains CBD, a cannabis chemical compound skyrocketing in popularity and driving what is estimated to have doubled into a $200 million market in 2018. CBD is the common abbreviation for cannabidiol, a chemical derived from cannabis. In contrast to THC, the far more popular cannabinoid CBD does not produce strong psychoactive effects when consumed. The chemical’s use in seizure prevention is well-documented in reputable research, and now, after conducting its own trials, the FDA is on board. As the FDA itself notes, “this is the first FDA-approved drug that contains a purified drug substance derived from marijuana.” Epidiolex, produced by GW Research Ltd., is now approved to treat the conditions known as Lennox-Gastaut syndrome and Dravet syndrome. The FDA news signals that the DEA will likely adjust its scheduling for CBD, which is currently a Schedule I substance, denoting high potential for abuse and no medical applications. 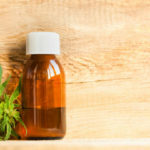 “The FDA prepares and transmits… a medical and scientific analysis of substances subject to scheduling, like CBD, and provides recommendations to the Drug Enforcement Administration (DEA) regarding controls under the [Controlled Substances Act],” the FDA stated, indicating that it will recommend that CBD be rescheduled but the act of shifting the substance’s legality is ultimately in the DEA’s hands. The medicinal acknowledgment of CBD should come as good news to marijuana startups eyeing the compound for consumer and medical consumption. Cannabis-derived CBD products are available where recreational marijuana is sold, though CBD derived from industrial hemp faces fewer regulations and is even stocked by some grocery stores. By some measures, consumer interest appears to be moving away from traditional high-potency THC-based products and toward CBD. In February, even Bon Appétit magazine got in on the trend with a story titled “What Is CBD, and Why Is It in Everything Right Now?” Cannabis startups are likely tuned into that fact and keeping an ear to the ground for the DEA decision on what by most accounts is the next big thing in cannabis. "My thinking/the profits on this matter have evolved." Now that he’s retired from Congress, former House Speaker John Boehner has decided to channel his inner flip-flopper and lobby for legalized weed. “My thinking on cannabis has evolved,” Boehner said, sans winking emoji, in a tweet. SEE ALSO: The largest protests in American history are happening now. Expect them to get bigger. The former speaker’s decision comes at a time of soaring profits for the legalized cannabis industry, with $10 billion in sales recorded in 2017. In fact, the former speaker spent much of his legislative career making life harder for drug users and instituting harsh penalties for drug sellers. In 1999, he voted to prohibit needle exchange and medical marijuana in D.C. — services that, arguably, help the the most vulnerable victims of the drug trade. In 2007, he voted against expanding services for ex-offenders leaving prison and re-entering public life. In 1999, he voted for a bill that allowed juveniles to be tried as adults for serious drug offenses. Towards the end of his career in Congress, Boehner did signal an openness to getting people out of prison who “don’t really need to be there,” including non-violent drug offenders. 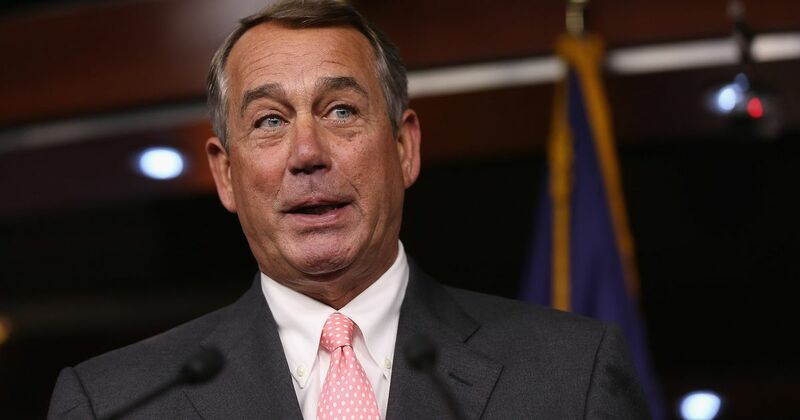 The bill was never passed, and shortly thereafter, Boehner left Congress. Cannabis is a notoriously finicky drug. Take the right amount and you get relaxation or euphoria, but take too much and it’s a long ride of paranoia. Which makes marijuana tricky for casual users, and potentially problematic for new users who want to use cannabis to treat ailments like pain. It's difficult to quantify just how much of the drug you’re inhaling through a bong or vaporizer—especially because marijuana contains some 500 chemicals that interact in ways scientists are just beginning to understand. And really, how you end up feeling depends as much on your physiology and state of mind as it does on the plant. But, some good news. 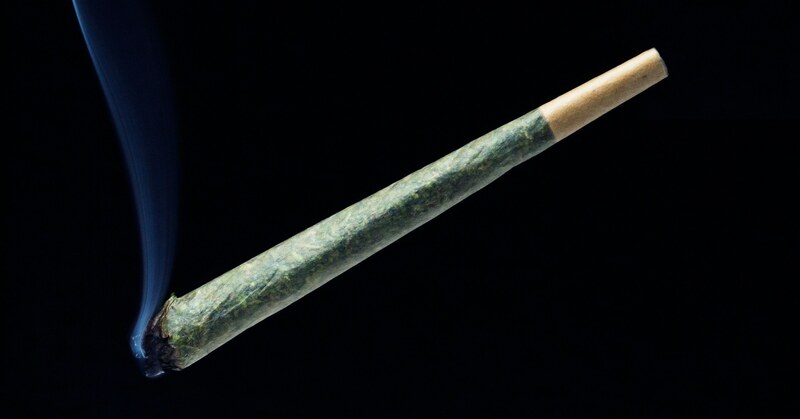 For one, science only has more to learn about how marijuana works on the human body. And two, companies making cannabis devices are figuring out ways to tackle the dosing problem. Take the Resolve One smart inhaler (formerly known as Breeze) for medical marijuana users who also happen to be data nerds, coming out in May. 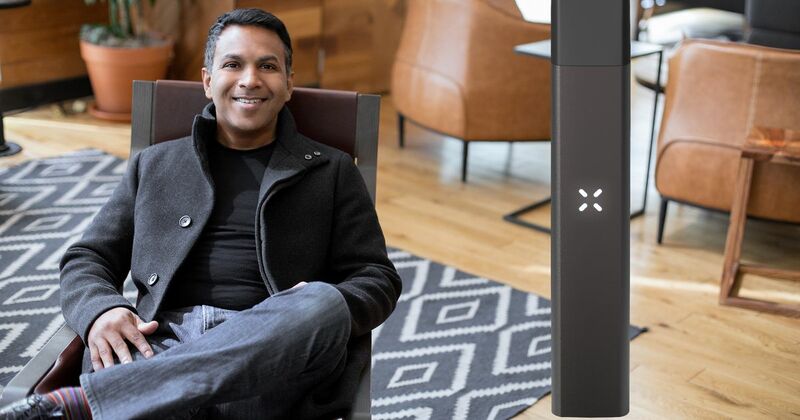 Think of it like the Keurig of cannabis: Insert a “Smart Pod” of marijuana and the device administers a precise blast of vapor. The device pairs with a smartphone app, where users begin by inputting their pain level. The inhaler calculates the right dose, followed by a drag. Ten minutes later, once the cannabis has kicked in, the app pings them to rate their pain again. This helps the user determine how effective the dose was. Now, it’s clear that accumulating more and more data hasn’t cured cancer or helped humans figure out how to stop aging. But in the case of cannabis, scientists have so little detailed information about user responses that it makes sense to start looking. Especially because the effects of cannabis can vary wildly from user to user. Some people, for instance, can handle higher THC content than others without having a conniption. 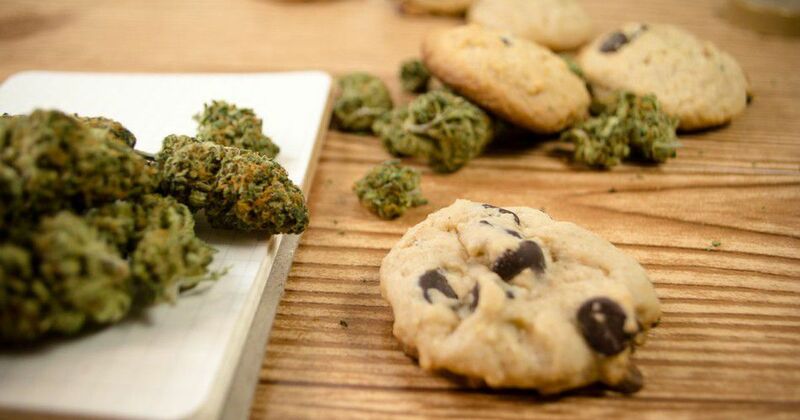 And how marijuana affects you can even vary based on how much food you’ve had that day, especially if you’re consuming edibles. The uncertainty is especially challenging given how potent cannabis has become. 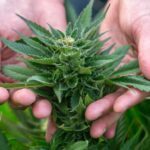 One study found that THC levels have gone up three-fold since 1995, thanks to selective breeding. But patients may be more interested in high levels of CBD, the non-psychoactive component that could help treat ailments like epilepsy. 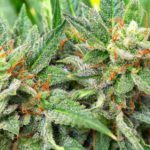 The trick may be something called the entourage effect, the idea that the plant’s various compounds interact with one another to put a check on the psychoactive effects on THC. Specifically, you’d want a lot of CBD in there. Yet science hasn’t proved out this effect. 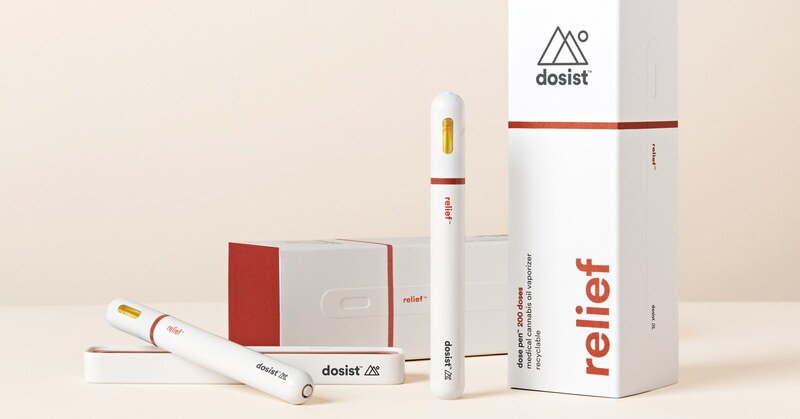 But as far as inhaled marijuana is concerned, companies like Resolve Digital Health and Dosist are starting to tackle the quantification problem, the former catering to patients and the later to a more general audience. And they’re betting that demand for a more predictable cannabis experience is only going up. Remember: Until there’s a fool-proof system for accurately dosing inhaled cannabis—and there may never will be—go low and slow. Your brain will thank you. Marsha Yandell was getting ready for lunch when a SWAT team appeared on her lawn and shouted over a bullhorn to smoke her out. It was February 2015, and the former registered nurse tried to tell Florida cops that she had paperwork for her cannabis plants. The documents, she claimed, showed she and her hubby Scott were allowed to grow medical marijuana. Yandell was tackled and zip-tied once she emerged, while her husband phoned their attorney from inside the house. The lawyer, Ian James Christensen, had legally greenlighted their home-grow operation and provided them with a patient ID card. Scott, then an engineer, was cuffed and charged, too. The couple faced a slew of felonies, including manufacturing cannabis and possession of cannabis with intent to sell or deliver, and decades behind bars. The Yandells lost their home and their jobs. They took a plea deal in return for $15,000 in fines, three years of probation, and 100 hours of community service, court records show. Last week, the 30-year-old one-time barrister was disbarred for falsely telling his sick clients they could possess, use, and grow cannabis. Christensen claimed cops couldnt touch them as long as they had his Official Legal Certification and (phony) patient ID cards. At the time, medical marijuana wasnt even legal in the Sunshine State. Two other peoplean Iraq War contractor with PTSD and his girlfriendwere arrested and prosecuted after following Christensens advice, a state bar investigation found. Along with the Official Legal Certification, Christensen provided clients with grow signs they could post at their homes to announce they were cultivating medical marijuana, a Florida Supreme Court ruling stated. In a Jan. 18 decision, the court ruled that Christensen erroneously advised his clients and gave them legally meaningless certifications based on determinations made by a physician not licensed to practice medicine in the State of Florida. Christensen continued to insist on the correctness of his clearly erroneous legal positions even when facing disciplinary proceedings, the document states. We will not tolerate such misconduct by members of The Florida Bar, the panel wrote in their decision. Christensens attorney, D. Gray Thomas, released a statement suggesting his client never intended to harm anyone. A young lawyer thought at the time that he was serving his clients rights and best interests, and was advising them appropriately, Thomas said. He thought he was raising a valid position on their behalf supported by existing Florida legal precedent on the defense of medical necessity. In court papers, Thomas wrote that Christensen opened his own solo firm, unmonitored by an experienced law firm or attorney. Christensen, in an affidavit, said, …I am extremely remorseful for the harms caused to my clients based on my naive persistence and misplaced confidence in what I was doing harms which I did not intend. But Andrew Bonderud, an attorney for the Yandells, called Christensen a scam artist. He has demonstrated a level of intransigence and arrogance that is remarkable, Bonderud told The Daily Beast. He had lots of opportunities to be persuaded that what he was recommending was hazarding all of his clients, and he ignored them. Its a level of recklessness that cannot be explained away by an innocent misunderstanding, Bonderud added. While Marsha Yandell is happy with the disbarment, she says her life is still in pieces. She and her spouse moved to Oregon for a fresh start, but her criminal record bars her from being employed as a nurse. I dont want this to ever happen to another vulnerable patient, ever again, she told The Daily Beast. Yandell was a registered nurse for 25 years and lost her license after pleading guilty to possession of cannabis with intent to sell and possession of paraphernalia. Her husband, an engineer for 15 years, also lost his job at Verizon, she says. Were very educated people, however, we are not educated in law, Yandell said. Before she found Christensens firm, Yandell was suffering from fibromyalgia, anxiety, depression, and spinal stenosis. Desperate to ditch the daily pharmaceuticals she took to ease the pain, she attended a cannabis seminar and learned of Christensens business, Health Law Services (HLS). Indeed, Christensen launched the IJC Law Group in July 2013, less than three months after being admitted to the bar. At the time, he had no training in the area of medical marijuana, the Florida Supreme Court found. The attorney launched HLS in February 2014, and incorporated the Cannabinoid Therapy Institute five months later, court papers state. Christensen charged HLS clients $799 a pop for a medical necessity evaluation. If his firm determined a need for weed, it would provide patients with the Official Legal Certification and a homemade ID card claiming the clients had a marijuana prescription. The identification was not affiliated with any government agency. HLS website erroneously claimed Floridas medical necessity doctrine would protect patients from law enforcement if they could prove they used pot for medical reasons. Therefore, if a patient can prove to a law enforcement officer that cannabis is the safest medication available to treat their diagnosed condition, they are NOT subject to arrest, the website stated. Meanwhile, Christensens Facebook page boasted of being the first law firm to develop a process to assist you TODAY so you may rest easy knowing you have a valid legal option to use this safe non-toxic medicine. He claimed to have a team of expert physicians, attorneys, and experienced marijuana professionals. Yet, according to the Yandells lawsuit, one of those experts claimed to be a lawyer but didnt even have a bachelors degree. The Yandells met Christensen in June 2014 and paid him $799 each after they received a medical interview by a doctor, whom they later learned wasnt even licensed to practice in the state of Florida. At the time, Marsha Yandell was desperate for a cure. I was eating 15 pills a day with every doctor in Jacksonville saying, Im sorry youre feeling so bad, but theres not a lot I can do, Yandell said. When I met these people, and they told me they had a way out of that whole rat race that I was living I was like, Hell yeah, I will try anything, Yandell recalls. If somebody would have told me to scrape asphalt off the left side of the highway and eat it, I would have done that. The couple later showed Christensen their home cannabis plants, and the budding attorney allegedly restated that the operation was legal. Christensen found ways to add validity to his practice by creating a website where law enforcement could search for and confirm whether patient ID cards were valid, Yandell told The Daily Beast. According to the lawsuit, Christensen told the Yandells they had nothing to worry about and that his firm would contact the Saint Johns County Sheriffs Office to discuss the couples marijuana operation. There is no record, however, that Christensen ever contacted the agency. One month later, the SWAT team raided their home and seized their vehicles and other valuables. The Yandells paid HLS $3,000 in cash, in addition to filing fees, to have Christensen represent them after their first arrest. When cops busted the couple a second time in March 2015, they hired a new attorney. They pleaded guilty to avoid lengthy prison sentences, becoming homeless, broke, convicted felons, their complaint states. Their landlord later won a $25,000 judgment against them for lost rent and damages to the home from the police raid. The Yandells werent the only victims of Christensens alleged scheme, court papers filed in the disbarment case reveal. In June 2014, Matthew Young and his girlfriend, Lynne Nesselroad, sought advice on Floridas medical marijuana laws. Christensen sent Young to his Cannabinoid Therapy Institute for an exam. Afterward, Christensen told Young he could grow and use weed for his medical conditions which include PTSD and brain injury. Three months later, Christensen provided Young with a patient ID card and Nesselroad with a card identifying her as his qualified caregiver. Christensen was listed on both ID cards as their Licensed Florida Counsel. In November 2014, Young and Nesselroad were arrested for trafficking marijuana and possession and manufacture of cannabis. Cops laughed when Young showed them Christensens paperwork, court papers state. Christensen charged the couple $8,000 to defend them, but a judge disqualified him as their attorney because he was a witness in the case. When Young and Nesselroad tried to get a refund, Christensen allegedly told them the money was gone. The State Attorneys Office dropped all charges against the couple in July 2015, and they became cooperating witnesses in an ongoing investigation, the Tampa Bay Times reported. That month, a judge also ordered Christensen to repay the $8,000. Young had spent 1,600 days in Iraq as a military contractor. His tour left him with broken bones, PTSD, and brain injury from concussions he sustained during explosions. His attorney, Shawn Gearhart, told the Times that he also contracted HIV while working as a field medic and was later diagnosed with AIDS. It calms everything, Young told the Times. Without cannabis my head is like a tornado and a hurricane all at the same time. According to the Times, state attorney Bruce Bartlett said that without Christensens guidance, Young and Nesselroad wouldnt have faced their predicament. These people have been punished enough, Bartlett said. The first month of California’s legal recreational marijuana sales showed that weed is big business, despite local government’s reluctance to issue permits. MedMen, a cannabis company that’s basically an Apple Store for pot products has dispensaries across Los Angeles, and found itself in an interesting position as one of the few places people could purchase marijuana in the most densely populated areas of Los Angeles when legalized sales began in California. At MedMen’s West Hollywood location, customer traffic clocked in a 23,606 people in January alone. Revenue was up 200 percent, compared to December, and up 500 percent compared to the year before. Its Santa Ana location brought in 5,051 people, doubling December’s revenue. Since recreational pot sales began on Jan. 1, Californians have been flocking to the few dispensaries that are allowed to sell to residents without medical cards. Proposition 64, which legalized recreational cannabis, lets local governments regulate sales. Some cities in Los Angeles county have been resistant to recreational weed. Santa Monica, for example, has banned non-medical marijuana storefronts entirely. Long Beach issued a 180 day ban on recreational sales at the end of 2017, giving the city time to figure out regulations. The city of Los Angeles set up framework for regulation, but businesses couldn’t apply for licenses until January 3. Vendors also had to apply for a separate license from the state-run Bureau of Cannabis Control. The city of West Hollywood issued temporary permits for stores like MedMen. 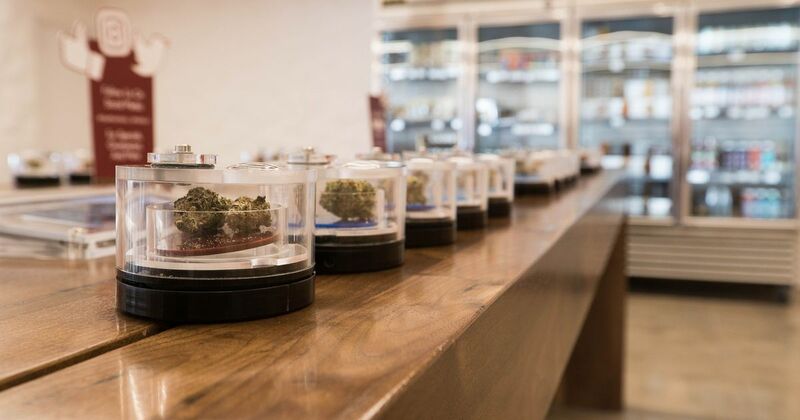 The California Bureau of Cannabis Cannabis Control issued only 47 temporary retail licenses, but they’ll expire by May 1. The unique position helped set up MedMen to be a marijuana unicorn. Canadian investment firm Captor Capital invested $30 million in the company for just 3 percent, valuing the company at about $1 billion. According to Rakofsky, there was an “added value” to visiting the dispensary and getting the chance to buy Girl Scout cookies. Although it didn’t necessarily bring in customers, it did drum up publicity for Urbn Leaf. Rakofsky posted the photo as she was leaving for her lunch break, and there were already news teams at the store when she came back. Rakofsky also said there’s a possibility of this becoming a trend. “The funny thing is, after the news story ran, we had more Girl Scouts show up over the weekend,” Rakofsky said. This is a story about marijuana that begins in a drawer of dead birds. In the specimen collections of the California Academy of Sciences, curator Jack Dumbacher picks up a barred owl—so named for the stripes than run across its chest—and strokes its feathers. It looks like a healthy enough bird, sure, but something nefarious once lurked in its liver: anticoagulant rodenticide, which causes rats to bleed out, and inevitably accumulates in apex predators like owls. The origin of the poison? Likely an illegal cannabis grow operation in the wilds of Northern California. Marijuana doesn’t just suddenly appear on the shelves of a dispensary, or the pocket of a dealer. Someone’s gotta grow it, and in Northern California, that often means rogue farmers squatting on public lands, tainting the ecosystem with pesticides and other chemicals, then harvesting their goods and leaving behind what is essentially a mini superfund site. Plenty of growers run legit, organic operations—but cannabis can be a dirty, dirty game. As cannabis use goes recreational in California, producers are facing a reckoning: They’ll either have to clean up their act, or get out of the legal market. Until the federal prohibition on marijuana ends, growers here can skip the legit marketplace and ship to black markets in the many states where the drug is still illegal. That’s bad news for public health, and even worse news for the wildlife of California. If you’re buying cannabis in the United States, there’s up to a 75 percent chance that it grew somewhere in California. In Humboldt County alone, as many as 15,000 private grows churn out marijuana. Of those 15,000 farms, 2,300 have applied for permits, and of those just 91 actually have the permits. And what’s bad for the rats can’t be good for the barred owl. How the poison might affect these predators isn’t immediately clear, but researchers think it may weaken them. Scientists are used to seeing rodenticides in owl livers—but usually, those animals are picking off rats in urban areas. Not so for these samples. “When we actually looked at the data, it turned out that some of the owls that were exposed were from remote areas parts of the forest that don't have even roads near them,” says Dumbacher. When researchers took a look at satellite images of these areas, they were able to pick out illegal grow operations and make the connection: Rodenticides from marijuana cultivation are probably moving up the food chain. Across from an old cookie factory in Oakland, California sits a lab that couldn’t look more nondescript. It’s called CW Analytical, and it’s in the business of testing marijuana for a range of nasties, both natural and synthetic. Technicians in lab coats shuffle about, dissolving cannabis in solution, while in a little room up front a man behind a desk consults clients. Running this place is a goateed Alabama native named Robert Martin. For a decade he’s risked the ire of the feds to ensure that the medical marijuana sold in California dispensaries is clean and safe. But in the age of recreational cannabis, the state has given him a new list of enemies to test for. If you're worried about consuming grow chemicals like the owls are doing, it's scientists like Martin who have your back. “We're trying to do it in legitimate ways, not painting our face or putting flowers in our hair,” says Martin. “We're here to show another face of the industry." Clinical. Empirical. The biological bit is pretty straightforward. Technicians add a cannabis sample to solution, then spread it on plates that go into incubators. “What we find is of all the flowers that come through, about 12 to 13 percent will come back with a high level of aerobic bacteria and about 13 to 14 percent will come back with a high level of fungi and yeast and mold,” says laboratory manager Emily Savage. With chemical contaminants it gets a bit trickier. To test for these, the lab run the cannabis through a machine called a mass spectrometer, which isolates the component parts of the sample. This catches common chemicals like myclobutanil, which growers use to kill fungi. Starting July 1 of this year, distributors and (legal) cultivators have to put their product through testing for heavy metals and bacteria like E. coli and chemicals like acephate (a general use insecticide). That’s important for average consumers but especially medical marijuana patients with compromised health. 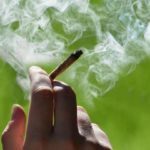 One group of researchers has even warned that smoking or vaping tainted marijuana could lead to fatal infections for some patients, as pathogens are taken deep into the lungs. “This is why we have to end prohibition and regulate and legalize cannabis, so that we can develop the standards that everybody must meet,” says Andrew DeAngelo, director of operations of the Harborside dispensary in Oakland. After testing, a lab like CW has to report their results to the state, whose guidelines may dictate that the crop be destroyed. If everything checks out, the marijuana is cleared for sale in a dispensary. “That gives the public confidence that these supply chains are clean for them and healthy for them,” says DeAngelo. And the black market gets us right back to the mess we started off in. Illegal cultivation is bad for consumers and bad for the environment. The only real solution? The end of prohibition. At the very least, the owls would appreciate it. You see, different people handle marijuana differently. It depends on your genetics, for one. And how often you consume cannabis, because if you take it enough, you can develop a tolerance to it. A dose of cannabis that may knock amateurs on their butts could have zero effect on seasoned users—patients who use marijuana consistently to treat pain, for instance. The issue is that THC—what’s thought to be the primary psychoactive compound in marijuana—interacts with the human body in a fundamentally different way than alcohol. “Alcohol is a water-loving, hydrophilic compound,” says Huestis, who sits on the advisory board for Cannabix, a company developing a THC breathalyzer.1 “Whereas THC is a very fat-loving compound. It's a hydrophobic compound. It goes and stays in the tissues.” The molecule can linger for up to a month, while alcohol clears out right quick. So law enforcement can measure THC, sure enough, but not always immediately. And they’re fully aware that marijuana intoxication is an entirely different beast than drunk driving. “How a drug affects someone might depend on the person, how they used the drug, the type of drug (e.g., for cannabis, you can have varying levels of THC between different products), and how often they use the drug,” California Highway Patrol spokesperson Mike Martis writes in an email to WIRED. Accordingly, in California, where recreational marijuana just became legal, the CHP relies on other observable measurements of intoxication. If an officer does field sobriety tests like the classic walk-and-turn maneuver, and suspects someone may be under the influence of drugs, they can request a specialist called a drug recognition evaluator. The DRE administers additional field sobriety tests—analyzing the suspect’s eyes and blood pressure to try to figure out what drug may be in play. The CHP says it’s also evaluating the use of oral fluid screening gadgets to assist in these drug investigations. (Which devices exactly, the CHP declines to say.) “However, we want to ensure any technology we use is reliable and accurate before using it out in the field and as evidence in a criminal proceeding,” says Martis. Another option would be to test a suspect’s breath with a breathalyzer for THC, which startups like Hound Labs are chasing. While THC sticks around in tissues, it’s no longer present in your breath after about two or three hours. So if a breathalyzer picks up THC, that would suggest the stuff isn’t lingering from a joint smoked last night, but one smoked before the driver got in a car. This could be an objective measurement of the presence of THC, but not much more. “We are not measuring impairment, and I want to be really clear about that,” says Mike Lynn, CEO of Hound Labs. “Our breathalyzer is going to provide objective data that potentially confirms what the officer already thinks.” That is, if the driver was doing 25 in a 40 zone and they blow positive for THC, evidence points to them being stoned. 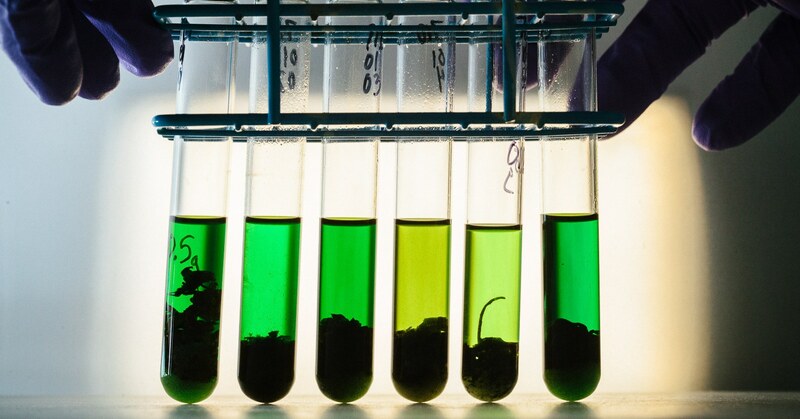 Scientists are just beginning to understand the dozens of other compounds in cannabis. CBD, for instance, may dampen the psychoactive effects of THC. So what happens if you get dragged into court after testing positive for THC, but the marijuana you consumed was also a high-CBD strain? “If you go through all this effort and spend all the time and money and drag people through court and spend taxpayer dollars, we shouldn't be in there with tons of question marks,” Raber says. But maybe one day marijuana roadside testing won’t really matter. “I really think we're probably going to see automated cars before we're going to see this problem solved in a scientific sense,” says Raber. Don’t hold your breath, then, for a magical device that tells you you’re stoned. 1 UPDATE: 1/29/18, 2:15 pm ET: This story has been updated to disclose Huestis' affiliation with Cannabix.